The Federal Housing Administration (FHA) has created a loan program that allows a buyer to purchase an existing home or re-finance their current one with a minimum down payment and include funding for improvements and renovations; it’s called an FHA 203k Loan. For those potential buyers, lenders and realtors utilizing the program, the following information will be helpful in understanding the role of the 203k Consultant. The Federal Housing Administration was started in 1934 by Congress to help homebuyers obtain mortgages that had less restrictive terms than conventional mortgages during a period of high unemployment and poor economic conditions…sound familiar? The next generation of the FHA Loan Program created to help solve this problem is the 203(k) loan. This solves the rehabilitation problem buy fully funding a loan that “includes” the money for repairs and renovations while providing the assurances of an FHA loan to the buyer and satisfying the strict requirements of the FHA for health and safety. These mortgages are based on the projected value of the home in its completed state after the work has been done or “after improved” taking into account the cost and extent of the work done. HUD has taken a strong position to encourage this program and has taken steps to make this process easier than ever by creating the position of a 203(k) Consultant. Contact a 203k Lender and get pre-qualified. We can assist you in finding a lender in your area that we’ve worked with to insure that you’ll get the best service. 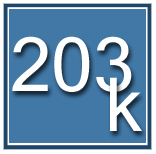 Set an appointment with us as your 203k Consultants. As your consultant I will meet you at your site and review copies of the contracts and agreements required for the 203k loan given to you by your lender that you will need to sign prior to the close of the loan. After our meeting and the HUD/FHA Home Inspection that I will provide, I will create a “Job Specification & Bid Request”, which is a list of the FHA required repair items to be completed. I will also list inclusions you may want to add like new cabinets and flooring, window etc. I will also forward copies of the various reports to your lender to assist you in the loan process. Get contractor bids by using the “Job Specification & Bid Request” prepared by me as your consultant. Choose a contractor. As your consultant I can assist you in this process and verify contractor compliance to the specifications. The lender will hire an appraiser and once the appraisal report is done, in most cases, your lender can close the loan. Schedule the contractor to begin the work. Once the work begins the contractor will require continuing inspections called “Draw Requests” to get progress payments for the work as it’s completed. As your consultant I will inspect the project and prepare these documents and repeat the procedure until the project is complete. It has never been a requirement of today's typical mortgage originator or underwriter to be an expert in the fields of home inspection or construction. For the 203(k) program to be successful, it becomes necessary that someone be expert in these areas. That someone is the HUD Consultant.